And once you do, let us know what you think! 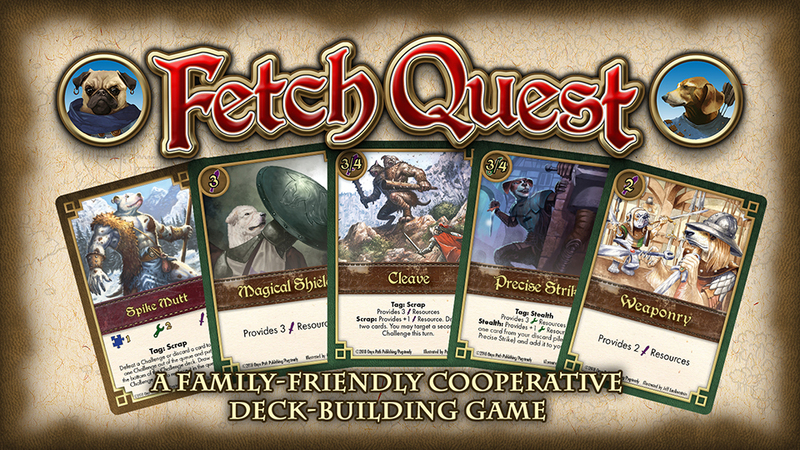 Card games aren’t our usual thing, so the more feedback we get on the game or the way the Fetch Quest Kickstarter is set up, the better we can do the next ones! Fantasy Grounds has added Shelzar: City of Sins from Scarred Lands to their online store, so that their Virtual Tabletop community can now explore the most wicked city in the Scarred Lands. We’re very happy that our SL presence in VTT is starting to build with our friends at Fantasy Grounds! 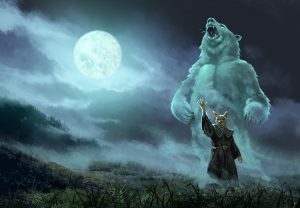 Our plans for Gen Con 2018 are rolling forward – just check out the projects Mirthful Mike is working on right now – and we’re going to be waving at Paizo again on our front, and across the aisle sideways at White Wolf this year. So we’ll have a ring-side seat at the explosion of gamers coming for V5 this year. Meanwhile, we’ll have our good friends from the Wrecking Crew demoing again this year outside the exhibit hall in their own room, and at least one demo table at our booth going at all times. Expect us to announce some pretty wild projects this year! Lots of folks working on lots of exciting books – just peruse the First Draft part of the Progress Report below! We still have some very important core books to deliver, and then a smorgasbord of different projects of all game lines and sizes are on their way. 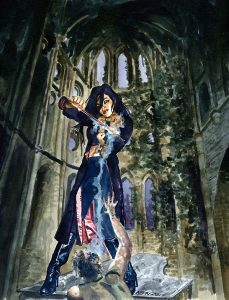 Last Friday’s Onyx Pathcast that featured an overview and behind-the-scenes of Vampire: The Requiem 2nd has garnered a ton of fantastic comments all over the place, and rightfully so considering the Terribly Terrific Trio (or the Terrifically Terrible Trio) were really firing on all cylinders with this one. If you want to hear more of these project or game-line oriented Pathcasts, then join the crowd and let us know! This Friday, at least two thirds of the gang will be interviewing the amazing up-and-coming writer and developer, Steffie de Vaan. And now, as a change of pace, and as sort of an illustration equivalent to the Developer/Writer viewpoints in last Friday’s Onyx Pathcast, I thought I’d do a bit of a walk-through showing the steps Mirthful Mike and I go through as an art director when one of us commissions an artist to create an illustration for one of our books. 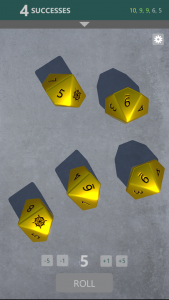 The developer should have provided the art notes for the pieces they know they need. Some devs will write out very detailed, multi-page, descriptions that specify every aspect of what the piece should contain, others will give very brief descriptions and leave the decisions as to what looks good to the artist. As an art director, I’m looking for a bit of a middle zone where the developer includes descriptions or reference links for accuracy – character appearance, the location, etc – and very specifically what they need to see happen in the illustration. If the point is to show a power being used, we do need to know what that power does. If the point is to show our cool protagonist in a run-down bar, then a brief description of what sort of attitude is being expressed is important. In the end, we prefer to give the artist just enough info so that they can run with a piece and show off their abilities while still holding to the subject matter we hired them to illustrate. 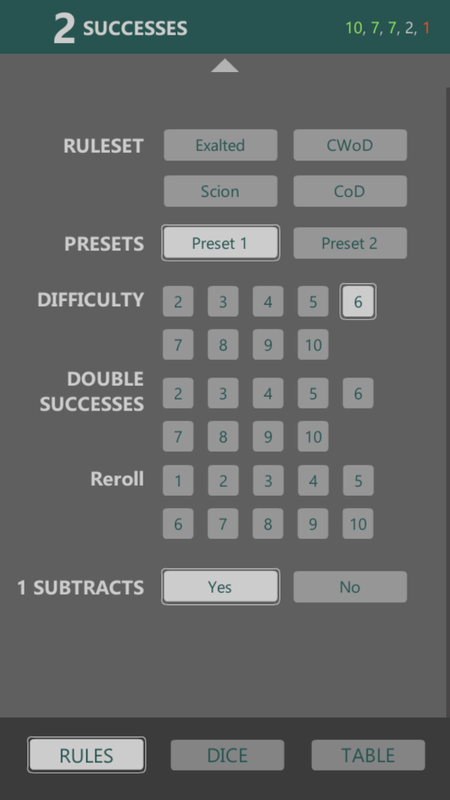 We also like to have a good idea of which pieces are going to which illustrator so that we can fine tune the notes based on how they are most comfortable working. Some artists like having as much info as possible in addition to the art notes, like the whole text or at least their chapter, while others find all that reading too much to deal with while trying to get to grips with their specific assignments. No wrong answer there, and we try and work with them to allow them to make their best work. Depending on the project, Mike may loop in the developer, me, or a licensing partner like White Wolf, for commentary and to see if the subject matter is being handled as needed. Most of the time, Mike handles this stage himself – particularly when you consider that different artists sketch with different kinds of completeness. 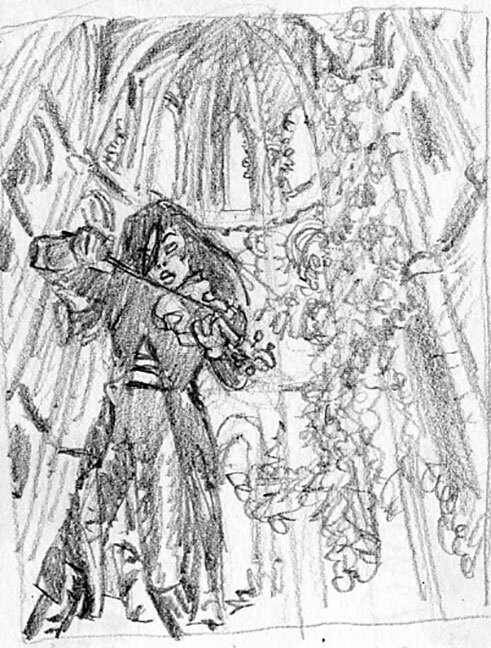 Some artists like to create very tight sketches and then use the final stages to take that tight sketch into the finished medium. Others like to have less detailed sketches and work out the details in their finish. So an art director gets to know how to “read” the sketches of their different artists and respond appropriately. Fetch Quest, the adventure card game set in the Realms of Pugmire is down to its last days and we’d love to have you join us! And if you’ve already pledged, this is definitely a game that needs to be spread by word of mouth, so please let your friends and family know about this game of good dogs (and cats!) out to fetch what Man has left behind! 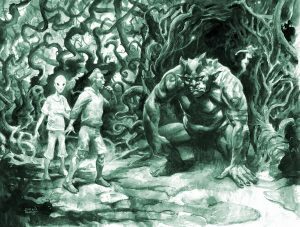 IPR is holding a 40% sale on the Chronicles of Darkness prestige edition core books that we have remaining until June 24th! 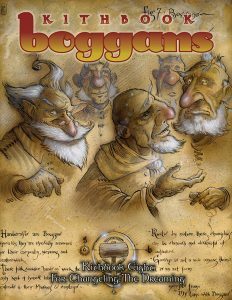 This Wednesday the PDF and physical book PoD versions of C20 Kithbook: Boggans go on sale on DTRPG.com! • A history of this unassuming yet vital kith, and how they’ve subtly shaped the Dreaming. • Insight into boggan nature combined with advice for bringing boggan characters to life. • Ready-made characters for quick play, and profiles of famous boggans past and present. • New Treasures, Merits, and Flaws for boggan characters. Prep is seriously underway for Gen Con 2018 in the first week of August, which takes place in Indianapolis. In addition to our booth presence, be sure to check out the games and panels in the Gen Con Event Schedule. 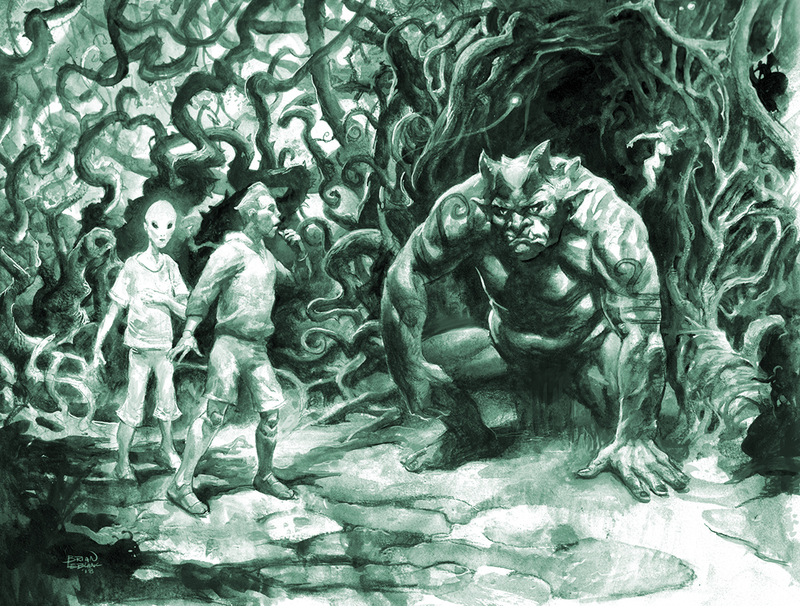 Geist 2e – KS artwork continues. Ex3 Dragon Blooded – More sketches coming in. 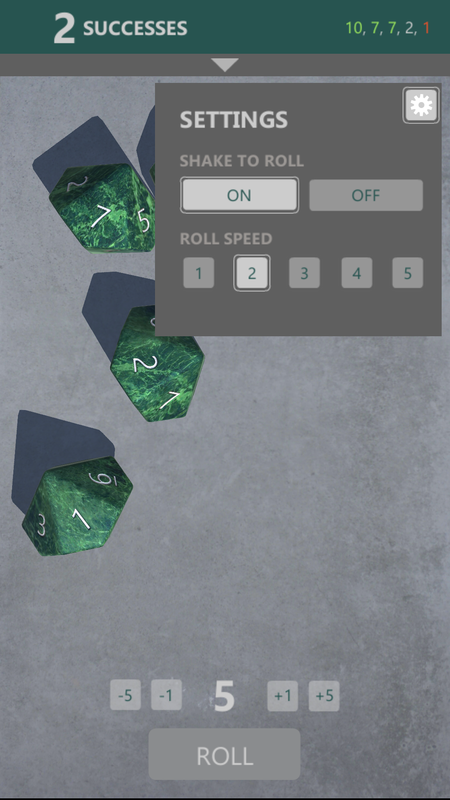 Fetch Quest – Prepping new playtest decks for Gen Con. Scion Origin – Onyx review. Changeling: the Lost 2 – Corrections to Josh. Wraith 20 Screen – At WW. V20 Beckett’s Jyhad Diary & Beckett Screen & V20 Dice – At fulfillment shipper, prepping for KS ship-out. 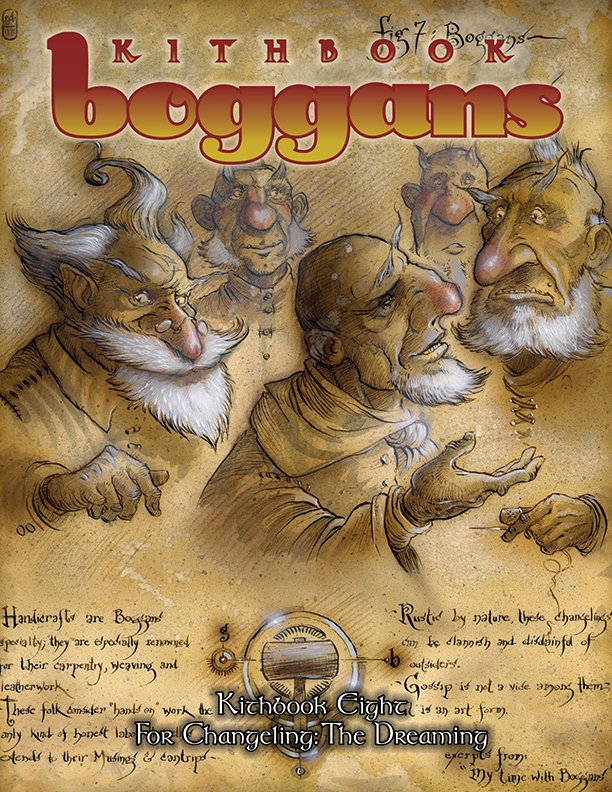 Boggans – PDF and PoDs on sale this Wednesday. Monarchies of Mau – In Indexing. Monarchies of Mau Screen – Getting ready to send to press. Cavaliers of Mars Screen – Getting ready to send to press. 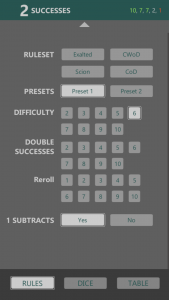 Wr20 Guide for Newly Departed – Creating PoD files. Gen Con Buttons – At press. WoD and CofD reroll cards – At press. FQ and PG Gen Con cards – At press. TODAY’S REASON TO CELEBRATE: Today is the birthday of J. Michael Straczynski, 1954 – celebrated writer of comics and TV, specifically of Babylon 5. Fun fact: B5 was a real pioneer in structure for television with free-standing episodes that were part of story-arcs that worked as seasons that had specific season-long stories and finishes, and so it was a huge influence on the limited-series concept for our games. Specifically in pitching Orpheus back in the day, I referenced B5‘s use of structure. God, I love Babylon 5! Easily my favorite sci-fi show of them all, and I really hope to see some kind of revival. And Bab5 is now available on Amazon Prime Streaming. I plan on re-watching it soon. Some amazing storytelling, I agree! Not sure about anything revived though. For a single Twin Peaks or MST3K that catches the feel and continues the story in a satisfying way, you get a Serenity or other continuation/remake/revival that just falls flat. I “can” be done, though, but should it? Well, JMS has been trying to get a movie reboot off the ground for some time now. Apparently, Warner Bros owns the TV rights to B5, but JMS owns the movie rights. If he can get producers onboard, he could get movies out there. Other than that? B5 is available on Amazon Prime Streaming right now. If enough people watch it and get into it, they could create enough grassroots buzz about the show to make Warner Bros think “Hmmmm, maybe there’s money to be made here.” That’s the main reason why Young Justice is getting a third season: fans of the show watched it CONSTANTLY on streaming and made a lot of noise online. Enough to convince the higher-ups that it was worth doing another season, even over a full year after the show was cancelled. It’s probably a long shot, but those two possibilities do give me some cause for hope. Which thought process involved in amking the Ventrue Symbol for Dark Ages,the one with the Lions? Truly the easiest. Lions, crowns, lions with crowns, fasces, fleur-de-lys, ermine, maces with blood drops and scepters to relate to the modern-day symbol. Pretty much the roll-call of European rulership symbols. Just a touch of the vampiric. Then the colors are equally straightforward- Purple and gold, red, white, black, and some glittery gems. The white lions to suggest _something_ different, off-kilter…but still noble. I just swore very loudly in excitement. Three new CofD books on the dock!